Available for skippered or bareboat charter. Based in the Isle of Skye. Capacity for 8 guests/crew. 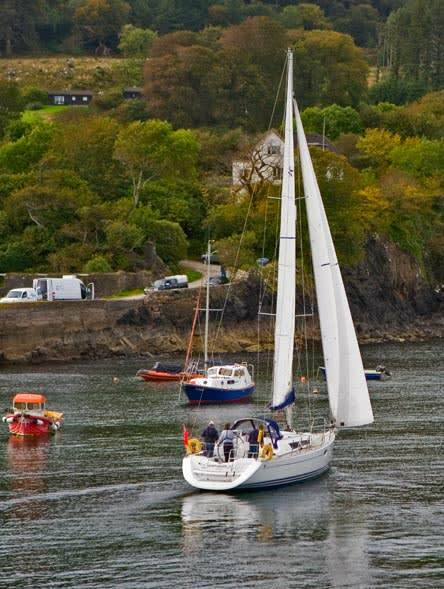 Prices start from £2244 per week, including skipper if required. 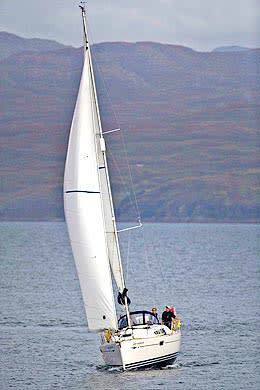 The perfect balance between the comfort of home and the full experience of the wild landscapes of the Inner Hebrides. 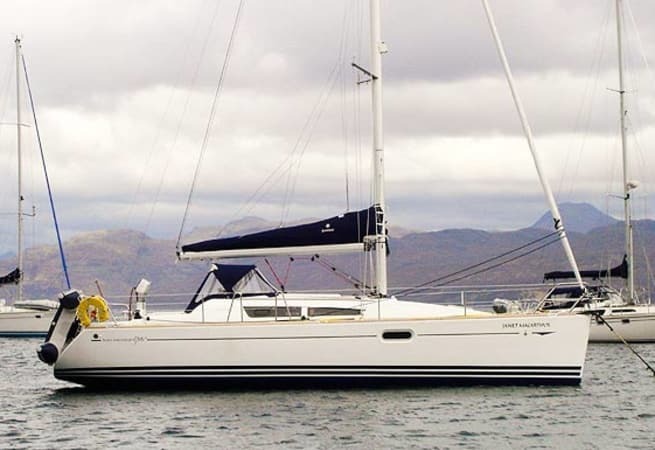 Cruise the Western Isles in style with the 'Janet Macarthur'. 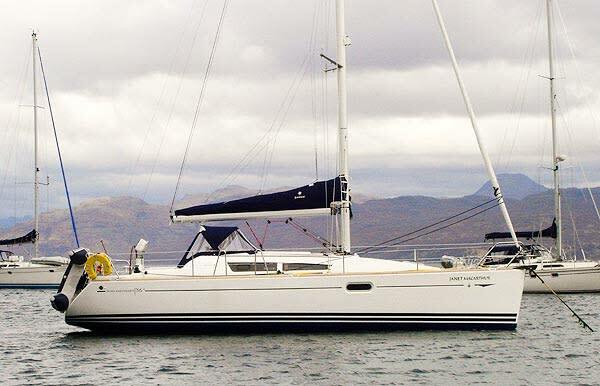 The Sun Odyssey 36i is a high-performance cruising yacht, with a hull designed by Marc Lombard. 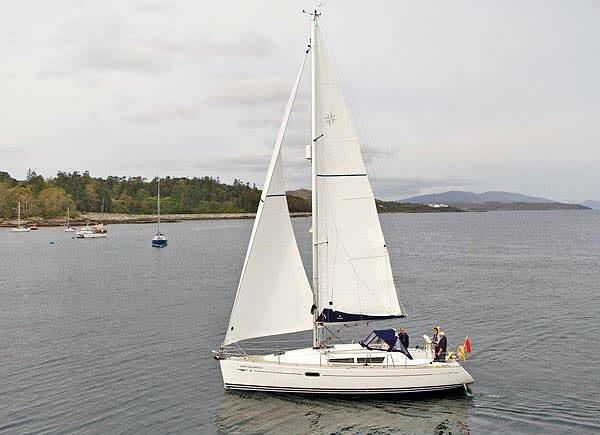 Yet it is also built for easy of use, with a powerful but easily handled sail plan, reversible electric windlass, teak decks and a generous cockpit. The cockpit is perfect for al fresco dining, and the galley is equipped for a full compliment. Below-decks has plenty of space for both living and storage, and is filled with natural light thanks to the many ports and hatches. 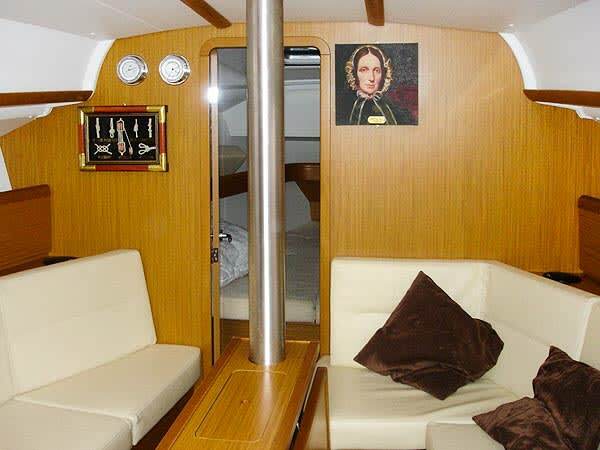 Berths consist of 3 double cabins (each with a 12v plug socket) and an optional double berth conversion in the saloon. A shower is also available, with warm water (after 30 minutes under engine). The yacht is powered by a Yanmar 3YM30 (29HP) engine which will carry you along speedily should the wind not prevail. The navigation area features a sliding chart table, and state-of-the-art electronic instrumentation is provided including DSC/VHF, Navtex, Chart Plotter and an integrated auto-pilot. 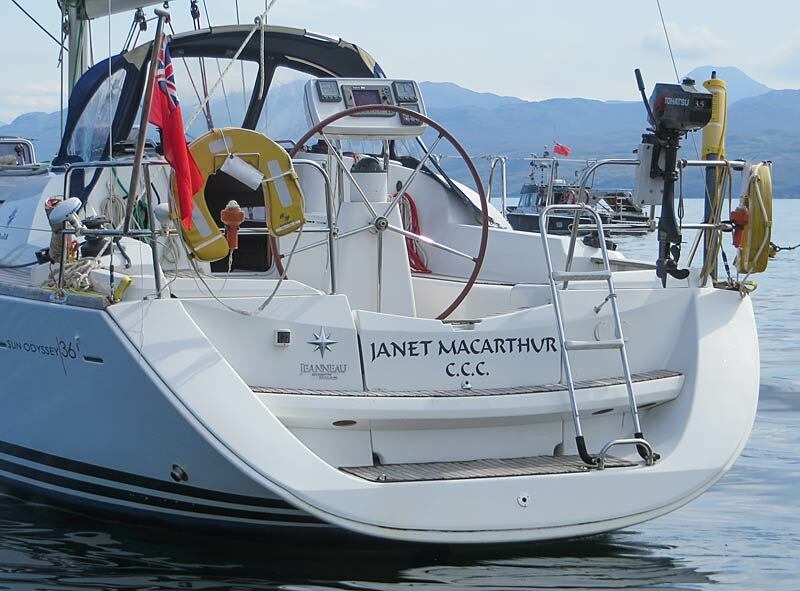 The 'Janet Macarthur' is perfect for those seeking a relaxed getaway on a premium yacht, as well as those looking for a real adventure in the rugged Inner Hebrides.